I purchased this inexpensive Federal 6.3 diffusion enlarger along with a developing tank, thermometer, contact printer, safelight, timer, easel, basic chemicals, trays, and tongs. 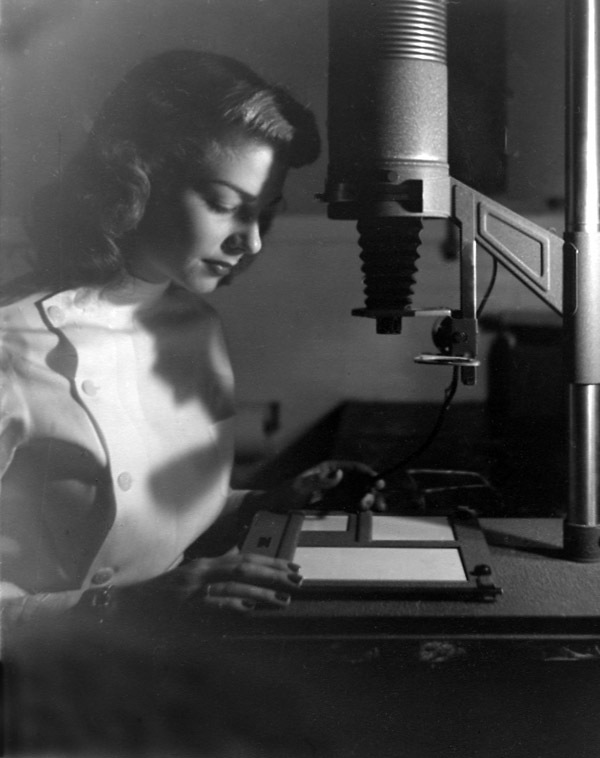 From the beginning I was most excited about being able to crop and compose my images with the enlarger. The contact printer gathered dust while I fed roll after roll directly through the Federal, making 4x5 enlargements instead of contact prints. An eye can detect in the darkroom an out-of-focus photo or a subject who has blinked at the moment of exposure or other fatal flaws that make a negative a candidate for the trash bin before ever being printed, wasting paper, chemicals and time. I was frugal, and the enlarger enabled me. Thriftiness actually made me a better photographer! Not wanting to waste led to careful composition, focus, and exposure. Actually, I took few photos. A roll of 12 exposures yielded 10 keepers or more. I would go on an entire afternoon shoot with one roll of film.